Complete our online admission form. Patient or Medical Practice will need to complete the patient admission details and patient health history parts of the form. In order to confirm your admission, please ensure all fields of the Admission/Referral Consent forms are forwarded to Spendelove Private Hospital promptly. Spendelove Private Hospital Reception at 24 Spendelove Avenue, Southport. Please note this form is an enquiry only. We have an Online Admission Form available also or you may click below for a printable version of the Admission Form. 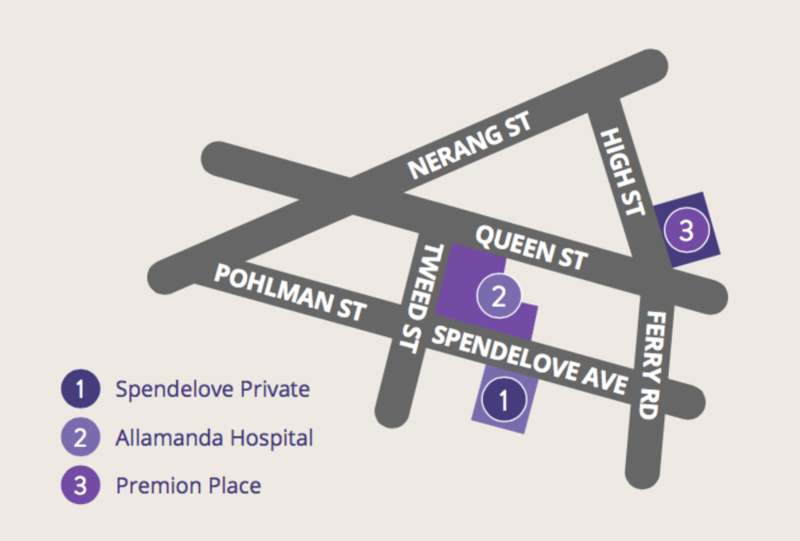 Please see our Preparing For Admission page for details on gaining admission to Spendelove Private Hospital.